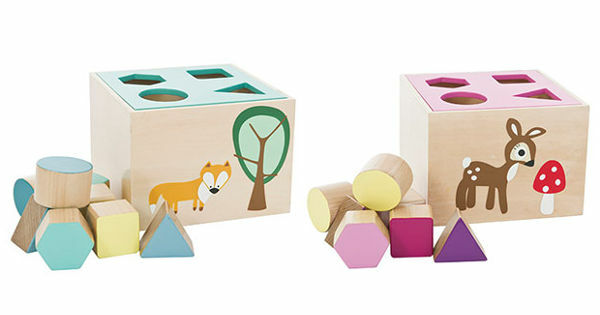 Shape sorters don’t come much sweeter than this wooden beauty. With their distinctly vintage look, and stunning simplicity, these Sebra Wooden Shape Sorters are both beautifully tactile and aesthetically pleasing. Shape sorters have stood the test of time as classic toys for kids. They are engaging, encourage imaginative play and the blocks can be used to build and teach shapes. And it doesn’t hurt when they are lovely to look at, as these are. Available in two forest designs, the Sebra Wooden Shape sorters are available from Kido Store for $64.95 each, plus postage.